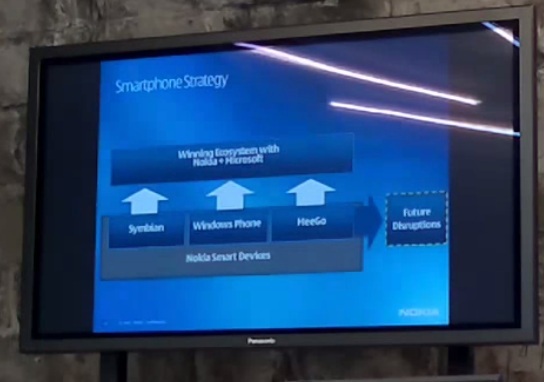 Apparently, there was a Nokia Blogger Meeting in Zurich on Monday (6th June) where this presentation was given by Andri Puorger, product marketing manager. Until then Symbian IS and will remain the main smartphone operating system. New Symbian Hardware – new design, new hardware specs with fully updated Symbian. Symbian Anna looks nice, better than previous but you’ll see much more in upcoming releases. Goal to sell 150 million more Symbian devices – we need new hardware/new software. I feel the same “wtf” feeling when Apple announced folders/wallpaper as new features as this guy is telling us about the benefits of portrait QWERTY. Something cool in Ovi Maps that they’re working on. Time Table for public transport. Great stuff. There are apps, but integration is better! Checking in on 10 social networks. 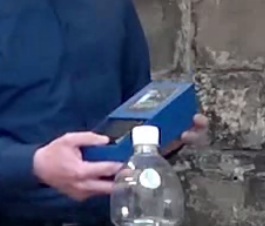 See it sliding out of the box and not the usual Nokia flap…phone is first thing you see. That’s how my Omnia 7 came and this minimalistic packaging was popularised by Apple. Why isn’t Anna on existing devices? Priority to have it preinstalled – end consumer can buy latest software so we also sell new hardware. Next step to bring update for existing consumers. Want to have update software tested enough where we don’t have bad experiences. What about next update, will it be in Qt? It will be mixed in that sense. It’s NOT fully Qt. It was planned but this is now NOT the case. <<They don’t really seem to be sure about this themselves. They state “I don’t know..” and something I couldn’t quite hear properly. All the services you see built on top will be Qt based. New HS will be much more open, much more flexible. In 2012 we’ll continue with S^3. 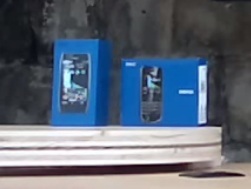 Symbian^3 updates will be given free to existing customers. Goal to have all S^3 devices with existing specifications supported.